Easy to use appliance for quick and countertop cooking. 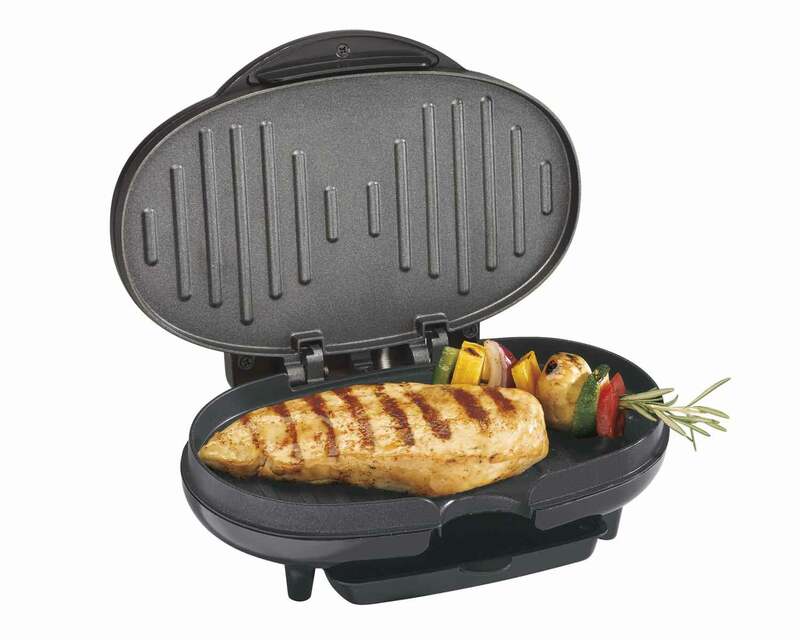 The Proctor Silex® indoor grill cooks food quickly and easily and is a perfect addition to the home, office, or dorm. 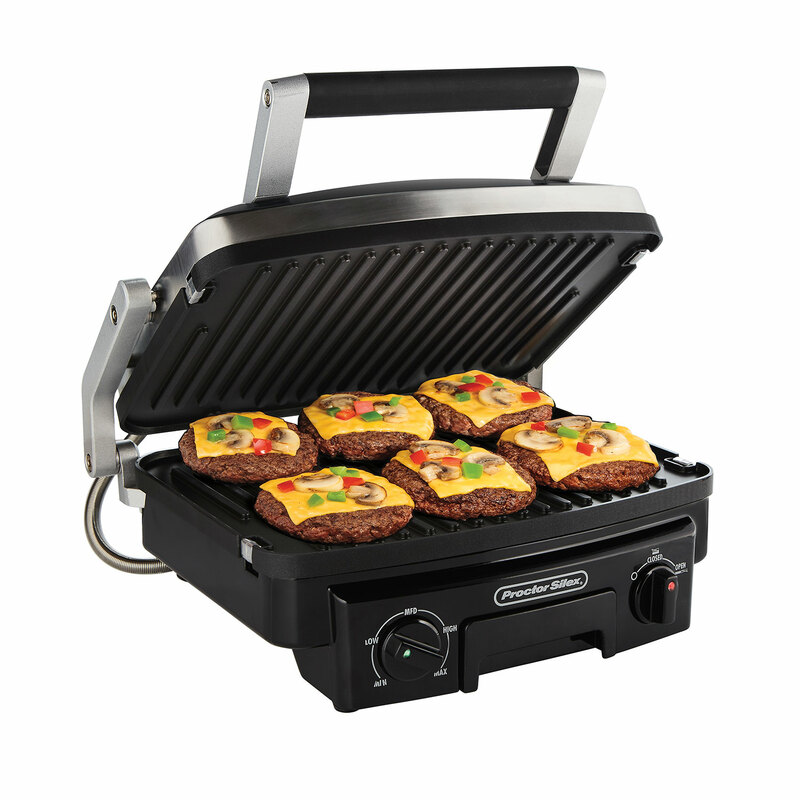 The indoor grill is powerful yet affordable, and you can enjoy the delicious taste of outdoor grilling with the convenience of a portable countertop appliance. This popular compact grill cooks most meals in 10 minutes or less. The removable cooking grids and convenient grease cup are dishwasher safe. 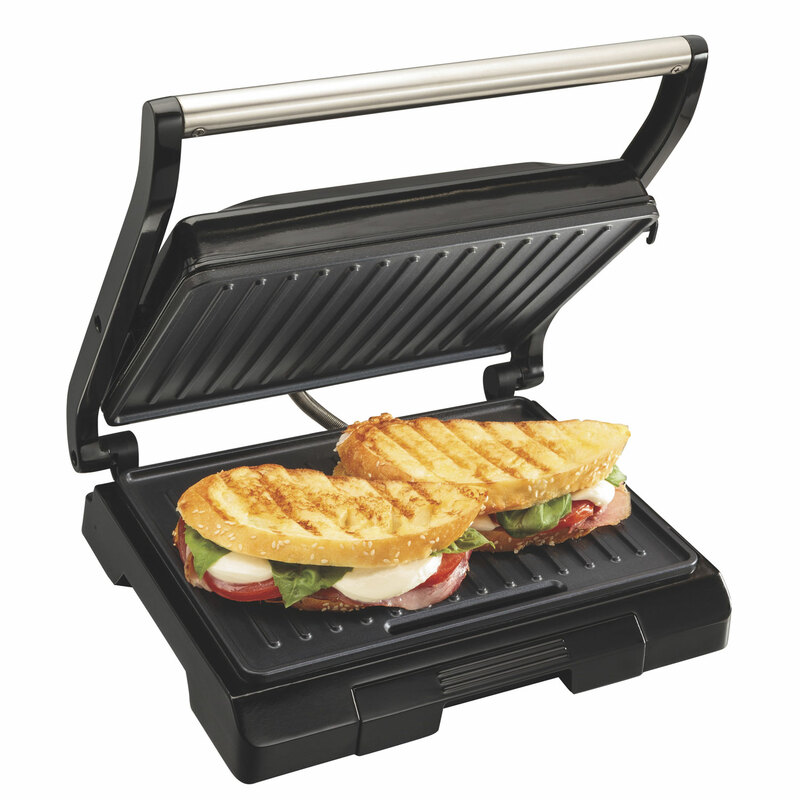 The durable Proctor Silex® indoor grill stores upright for added convenience.